This is another wonderful case which we brightened the color of the teeth then Dr. Dove placed two veneers on the 11/21 (central incisors). 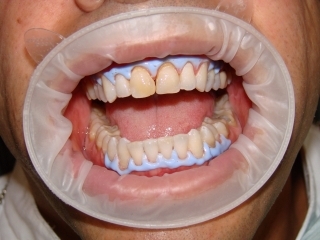 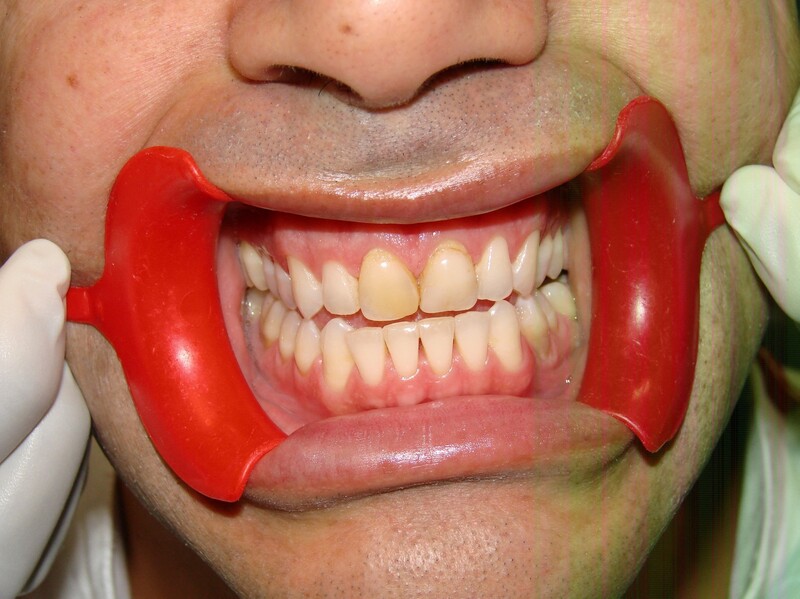 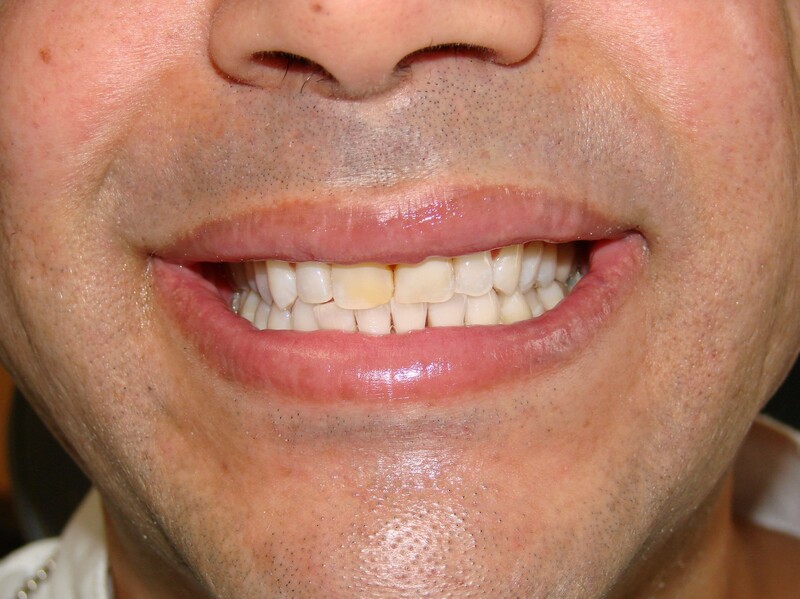 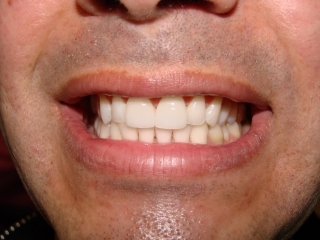 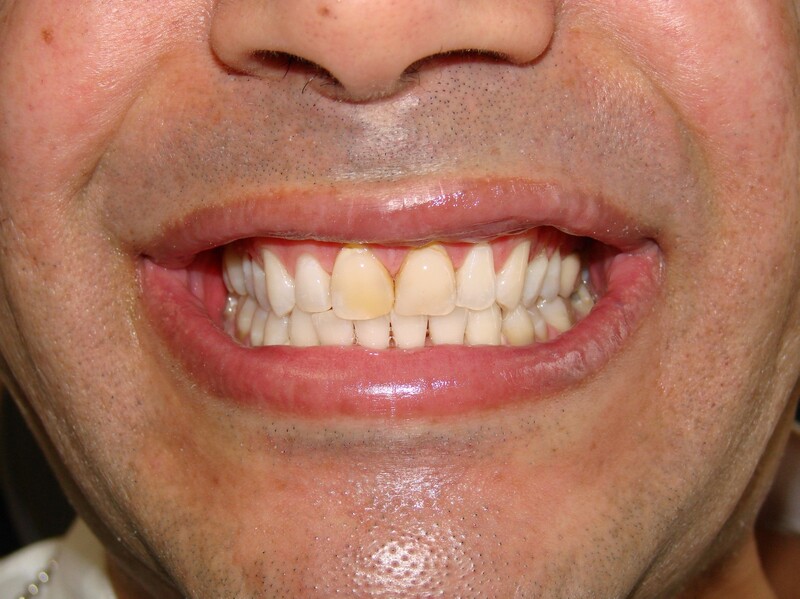 This patient was unhappy with the color of several teeth and had bonding done on the central incisors which had started to stain over the years. Click the thumbnails to read the step by step story. 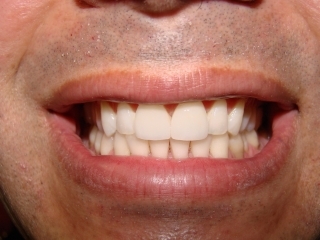 Dr. Dove has been a member of the Ontario Dental Association for 25+ years. We'll help you understand what treatment is required, and will give you the information you need to make your decision. Consults are free after your initial visit.